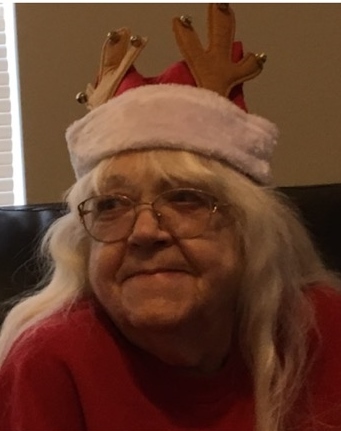 Elaine Joyce Gray 77, of LaRue, Ohio, formerly of Detroit, Michigan, died peacefully Saturday afternoon January 19, 2019 at the Marion General Hospital surrounded by her loving family. She was born October 8, 1941 in Detroit to the late Joseph and Dorothy (Szymanski) Gerhard, she was also preceded in death by an infant daughter Laurel Gray and sons-in-law: Bill Stone and Rick Jennette. Elaine was a 1959 graduate of the St. Anthony’s High School in Detroit. She moved from Detroit in 1999 to be near her daughter and grandkids. While in LaRue she worked as the Librarian at the local Library. When living in Detroit, she had worked for K-Mart in the accounting office. She will be remembered as “The Best Mom”, always looking out for her family first. She had a great sense of humor and enjoyed crafts, word puzzles and reading. Brother: James Gerhard of Newport Richey, Fl. And her former husband: Paul Gray of Largo, Fl. To all of the Gray family- we are so sorry for your loss. May the peace of the Lord be with you all during this time. Fondly remembering when we lived on Rossini and shared a phone party line. So sorry to hear the passing of your mother, she sure was a one of a kind. If for and reason you might need anything call Rick. Our deepest sympathies to Elaine's family. All our love to you. Rick and JoAnne Donaldson from sailing vessel Adventure.